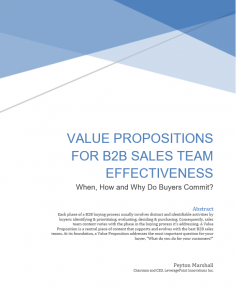 Home » Resources » Empower Sales Conversations » Value Propositions for B2B Sales Team Effectiveness: When, How and Why Do Buyers Commit? Peyton Marshall, Ph.D. is CEO of LeveragePoint. Previously, he served as CFO and Acting CEO at PanacosPharmaceuticals, Inc., CFO of EPIX Pharmaceuticals, Inc. and as CFO of The Medicines Company through their initial public offering and commercial launch of Angiomax®. Previously, he was an investment banker in London at Union Bank of Switzerland, and at Goldman Sachs where he was head of European product development. 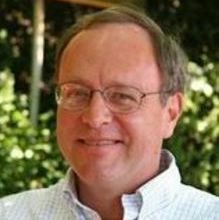 He has served on the faculty in the Economics Department at Vanderbilt University. Dr. Marshall holds an AB in Economics from Davidson College, and a Ph.D. in Economics from the Massachusetts Institute of Technology.